Animalife Vetrofen Intense is a fast acting, super strength, targeted supplement containing a natural antioxidant blend that targets comfort and recovery in joints and muscles. 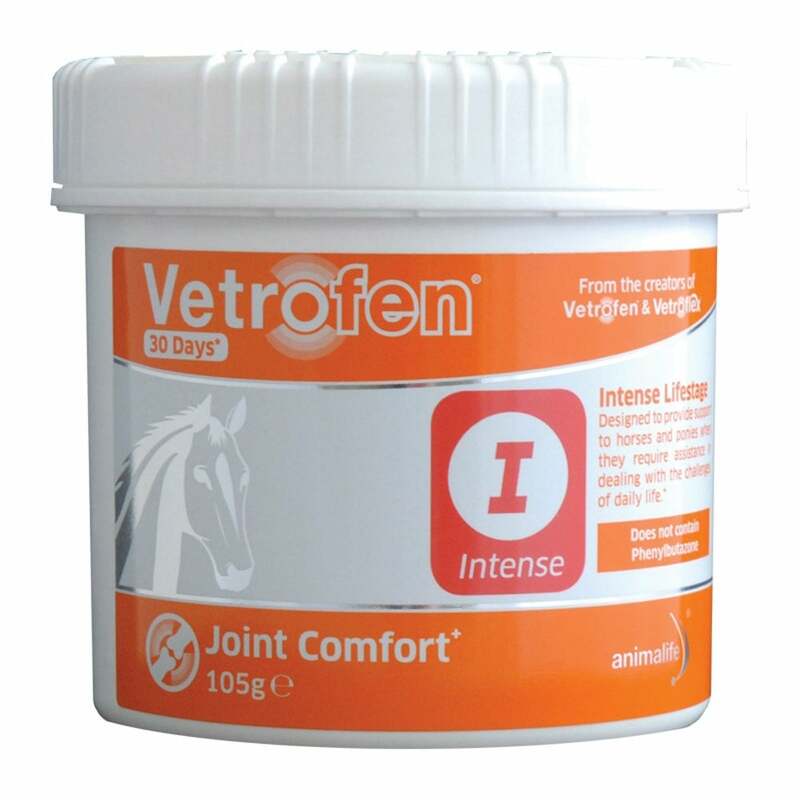 Vetrofen Intense has been scientifically formulated to help horses and ponies that require support in dealing with intense activity, the natural ageing process and recovery. Use before and after periods of physical stress or intense activity. Great for joints, muscles, ligaments, and tendons when used daily starting with a loading serve. Vetrofen Intense does not contain Devil's Claw and is free from banned substances making it safe to use with the performance horse. Vetrofen Intense is for short or long term support. It can be used daily when mixed into the horse’s normal feed or specifically during intense periods with the Intense Instant syringes, such as before, during and after competition.